This is the third part of a 4-part series examining Conrad Murray's (CM) administration of propofol to Michael Jackson (MJ) in MJ's private home. Part 3 will discuss the myriad lies CM has told and promulgated as they pertain to his administration of propofol to MJ. To clarify, my personal opinion is that CM is an accomplished liar-- beginning with a string of mistresses and out-of-wedlock children that he had difficulty "remembering" to support financially. To be sure, $150,000 a month is a potent incentive, IMO, to do a lot of things that one might not do for other, less wealthy or less prominent people. Trouble is, once I started looking, I found so many lies that I really don't have time to discuss ALL of them. So I had to make a command decision to just focus on a few (ok, 10) of the really BIG whoppers that lead directly to the Propofol Death Drip that CM absolutely denies he ever had hanging the morning of June 25, 2009. So, that leads us to lie #1. Testimony of Orlando Martinez, Law Enforcement Officer who conducted an official recorded interview with CM and his attorneys. "In describing these evenings, last couple days, did he tell you he’d been giving MJ propofol every single night for over 2 months? This is a cut and paste of my comment January 21, 2011 9:22 AM, from the thread discussion from Part 1- IV Technique: Tutorial on the Basics. I'd like to address the issue of "standard of care." This really amused me when I read that line of questioning from the prelim, because to even begin a conversation about what IS or IS NOT standard of care, one has to agree that what Murray was providing met a definition of some kind of LEGITIMATE medical care. To begin at the very beginning, propofol has absolutely no indication, on-label or OFF label, or in published or anecdotal literature, for use in the outpatient or home setting, for the reasons Murray said he was using it-- treatment of insomnia. 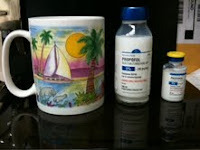 So, to suggest or imply that there is some kind of standard of care for a cardiologist, anesthesiologist, CRNA, doctor, lawyer, nurse, or layperson to administer propofol to someone in a private home would be to give in to the urge to analyze Murray's actions AS IF they were legitimate medical care. NOTHING about what Murray did constituted legitimate medical care. The use of injectable propofol and injectable benzodiazepines in a HOME setting for relief of insomnia in a presumably healthy 50 year old man IS NOT MEDICAL CARE. So NO, there is NO standard of care for what Murray was doing. That is the whole point. Just because Murray sports "M.D." after his name does NOT mean that anything he wants to do outside of a hospital is legitimate medical care. We do not treat ANY patients IN hospitals for insomnia with injectable propofol, so how can there possibly be a "standard of care" for Murray to do this in a private home? Even if Murray had carted in truckloads of monitors and equipment, and converted the "treatment bedroom" to a fully functional operating suite, he would STILL not have met any standard of care, or have been in compliance with any legitimate use of that drug! EVEN if he was an anesthesiologist! And I will say this again, also: Conrad Murray would NEVER have received clinical privileges in ANY hospital to do what he was doing in that bedroom. The letters M.D. after his name are NOT sufficient to receive clinical privileges to administer sedation and/ or anesthesia in a hospital-- he would have had to document a bunch of training and education to receive those privileges, and document a legitimate need to have the privileges, as a cardiologist. Even then, the insurance carriers, hospital medical staff committee, and hospital attorneys would have a LOT of heartburn about giving him privileges to personally perform sedation and anesthesia in a hospital. Let me say it again: there is NO legitimate medical indication for the use of propofol and boatloads of injectable benzodiazepines in a home care setting for the treatment of insomnia in a healthy 50 year old person! Therefore, there is NO standard of care to be met. That is precisely why Murray's actions were criminal, and not "mere" civil negligence. And if the defense thinks they can find a Board Certified Cardiologist expert witness who will come in and say that what Murray was doing met the standard of care for a Board Certified Cardiologist who was treating a patient at home for insomnia by using IV propofol, well, GOOD LUCK with that search, defense team! How many Cardiologists are going to stick their neck out for Conrad Murray on this one? That would be professional suicide. To save some space, please refer back to Part 2- The Evidence: What We Know from the preliminary hearing testimony. 4 gallons of propofol ordered in about 8 weeks time for only one intended recipient (not patient; see Lie #1 above) is not a pattern of weaning anybody off of propofol. Or if it IS, someone please explain this to me. Because I'm just a lowly CRNA. I can't possibly be expected to understand the complex logic and verbal gymnastics that spin this situation into legitimate medical care. Defense team-- go for it! We all have our listening ears on and are sitting quietly with our hands folded. And I am personally outraged that he was so meticulous in his ordering of propofol and benzodiazepines, but this CARDIOLGIST did not order any CARDIAC LIFE SUPPORT medications from that pharmacy. Why? Because he simply never anticipated that he would need them. We'll talk about hubris in a minute. Who did you consult about your concerns about MJ's propofol use? Who advised you to continue to give him propofol? Did you consult any specialists with specialized knowledge about propofol addiction, or daily propofol abuse? Or did you make the decision to give MJ propofol on your own? What sources or references can you show us that support the use of IV propofol for the treatment of insomnia in the home setting? Who are other peers, doctors, or Cardiologists, who are using IV propofol in a home setting for the treatment of insomnia? Who have you talked to about using propofol in this manner? Have you published any anecdotal reports in peer reviewed journals about the emerging indications for IV propofol as a home care treatment for severe insomnia? Are you conducting investigational studies about using IV propofol as a home care treatment for insomnia? Please show us any notes or records you have about using IV propofol at home as a treatment for insomnia. As to Lie #3, that propofol was somehow a legitimate treatment for insomnia, I will offer that Murray's goals for his treatment (benzodiazepines and propofol) was to induce a level of unconsciousness equivalent to a general anesthetic. Heavy use of benzodiazepines and propofol, and other poly-pharmacy, tend to upset the body's natural ability to sleep. Anesthesia is NOT the same thing as sleep. According to a review of general anesthesia, sleep, and coma in the Dec. 30 online issue of the New England Journal of Medicine, coma and general anesthesia appear to share key similarities. The researchers found that when patients are under general anesthesia, their brain is not "asleep" but instead enters a state comparable to a reversible coma. In the review, the three doctors—each specializing in one area of the study—discuss how a fully anesthetized brain more closely resembles the deeply unconscious brain that is seen in coma patients and is less like that of a sleeping brain. They go on to conclude that being under general anesthesia is tantamount to being in a drug-induced coma, in which states of consciousness and unconsciousness operate on different time scales. The researchers hope the findings will help to create new approaches to general anesthesia and improve the diagnosis and treatment of sleep abnormalities and emergence from coma. From "General Anesthesia More Like Coma Than Sleep"
2. You are a big, strong, tall DOCTOR. Walk away, DOCTOR, walk away. 4. Get this man, MJ, your PATIENT the care that he so DESPERATELY needed. If CM had done any of the above four things, MJ might still be alive. Conrad Murray has seven children. Wouldn't you think at one point, during a parenting moment, he would have had to say "NO"? So, he should be very practiced at saying "NO", right? What am I missing here.....hmmmmm.....oh yes. A little incentive in the amount of $150,000 A MONTH. That might be just a wee bit persuasive, if one is inclined to be unethical. (Paraphrased) I'm just giving him a little bit of propofol....really...... I gave him 25mg at 10:40 or 10:50. That shouldn't have killed him. How did he say he was assisting? He would assist Mr. Jackson with 50 milligrams of propofol. An injection to get him to sleep and with an IV drip to keep him under. Okay, time for another math lesson. Please refer back to Part 2: The Evidence for the initial math explaining the amount of drug found in MJ's blood at autopsy. We know that an induction bolus dose of approximately 150mg for a 62 kg person (which is 2.5 mg/ kg) will produce blood levels of (averaged) approximately 4.0 micrograms per ml of blood volume. So, rounding off, 4 ug/ml as the average of what we know should be produced by an induction bolus of 2.5mg/ kg of propofol. Therefore, we can construct an equation using that ratio to determine what the micrograms per ml should be using a different, smaller dose. Let's use a 25mg dose, since that is what CM claims to have given at 10:40 or so. Now, let's assume CM is actually telling the truth. (No snickering-- I can hear you.) So let's take him at his word that he did not give MJ any propofol the morning of June 25, 2009, UNTIL the dose at 10:40 or 10:50. He reports he gave MJ 25mg. To recap, 0.67 is a whole heckuva lot less than 3.2, 4.1, 0r 2.6. Without question, MJ received a whole lot more propofol than CM's 25mg dose, that he embellished with pushing over "2 to 5 minutes". (Yeah, right-- using a 10cc syringe??) Even with that detail embellished, that he gave the 25mg over 2 to 5 minutes, well, the person would still have been talking to him at that rate. Pushing 25mg over 2 to 5 minutes would NOT put even an average person who has not been exposed to daily propofol to sleep. Hmmmm........I'm beginning to get VERY suspicious about the "IV bag with bottle" that CM directed Antonio Alvarez to take down and placed (hid) in the blue costco bag that was found by Elissa Fleak. How about you? And lest we all get too wrapped up in the math about whether or not the amount of propofol in MJ's body at autopsy was too much, too little, or just right, let me emphasize AGAIN that there was NO legitimate medical reason for ANY propofol to be administered to him in his home. Even by a doctor. Well, he was certainly frantic, but not because he didn't have an intra-aortic balloon pump (IAPB) available in the "treatment" bedroom of the rented mansion. He was frantic to start cleaning up all of the evidence of the propofol, as we have heard from Antonio Alvarez. So frantic, that calling 911 must have slipped his mind for 20 minutes or so. So frantic that he forgot that 20 minutes of pulseless arrest means the victim has virtually no chance of being successfully resuscitated, and if his heart is miraculously restarted, his brain is very likely mush. So frantic that he, a Cardiologist, panicked and forgot how to do proper CPR. So frantic he forgot that there was an ambu bag present in the room. Cardiologists are extensively educated in all manner of the anatomy and physiology, health and disease processes, of the human heart. It's their primary business. When paramedics hooked up the cardiac monitor to MJ in the bedroom of the mansion, and he saw aysytole with occasional agonal spasms of PEA (pulseless electrical activity), he knew his patient was dead. Unless Conrad Murray was asleep in every single class he ever took related to Advanced Cardiac Life Support, and also slept through his entire internship, fellowship, and board certification process, HE of all people at the scene KNEW the likelihood of resuscitation for MJ was essentially zero. He knew, when he saw asystole, and a few errants bits of electrical activity, that the game was over. And he KNEW at that moment that he had been out of the room yakking on his cell phone for FAR too long. Make no mistake-- Conrad Murray KNOWS that asystole with bits of agonal PEA in a 50 year old man with a healthy heart is a very LATE stage of cardiac arrest. There was NO doubt in Murray's mind about what he was seeing. There was NO doubt that the asystole was from any other cause than a long respiratory arrest that deteriorated into a long cardiac arrest. Murray KNEW the window for successful resuscitation was past. But he didn't want to be the one to both CAUSE the cardiac arrest AND call the code and pronounce the victim dead. So he LIED (Lie #7) again to the paramedics and didn't tell them all the meds MJ had received, most especially, propofol. So they loaded up the ambulance and headed to UCLA Medical Center. Where CM LIED (Lie #8) again, to multiple members of the ER resuscitation staff, who asked him for a history of the arrest, and what meds the victim had received. Again, that propofol seems to have slipped his mind. Ask yourself, WHY would a DOCTOR who is certain he provided appropriate care, LIE about the meds he gave the victim? If that is true, then Conrad Murray is the dumbest doctor on planet earth, IMO. A layperson or elementary school student could have foreseen that death was a possibility in that bedroom, using an IV surgical anesthetic to help a man in his home, battle "insomnia". How is it remotely possible that CM did not anticipate death could be a possible outcome? Hubris. And $150,000 a month. Hubris whispered to CM that he was a big, strong, smart, important, infallible DOCTOR. Hubris told CM he could do whatever he wanted to do in the name of medical care in that private home. And the laws allowed CM to do just that. Until we change the laws about what doctors are allowed to do in private homes and offices, these situations will continue to happen, and people who trust these "doctors" will be hurt, or die as a result of their incompetence. We have extensive safeguards in place that regulate the practice and credentialing of doctors in hospitals and clinics; we minimally regulate procedures provided by doctors in private homes, or in their offices. For the safety of the public, I strongly support more regulation of doctors in the activities they perform in private homes and offices. Doctors should not be able to do procedures and give drugs in their offices or private homes that they would not be able to receive hospital privileges to perform. Whether we like it or not, there was nothing illegal about CM ordering 4 gallons of propofol from a compounding pharmacy. The pharmacy did not have to notify ANY agency that this activity was occurring. No agency had oversight responsibility to make sure there was a legitimate need for that much propofol in the "clinic" of a Cardiologist. Apparently, there is nothing illegal about shipping that propofol through the mail or using a cargo carrier like FedEx to ship that dangerous drug to a private apartment. And yes, he lied (Lie #10) to the pharmacist Tim Lopez about THAT, too, and said the address was a "clinic" in L.A. Why did he lie if it was legal? Hmm. "Wherever I am at the moment, or wherever I'm going, is a clinic." Hubris. We should all be enraged that what he did was LEGAL. Right up until he killed the person he was giving it to. The district attorney has called that involuntary manslaughter. A lot of us think it should have been charged as second degree murder. I really wish someone could explain to me why it is that a person who is driving under the influence and kills another person, is charged and punished more harshly than a DOCTOR who invents a new "off-label experimental" use for a dangerous anesthetic in a private home, and KILLS his victim?? Yeah...maybe that will be the defense strategy-- Conrad Murray was investigating a new off label use for propofol. I'm looking forward to reading that in a peer reviewed Cardiology journal. CM should have a couple of years to write it up while he rests in prison, hopefully. 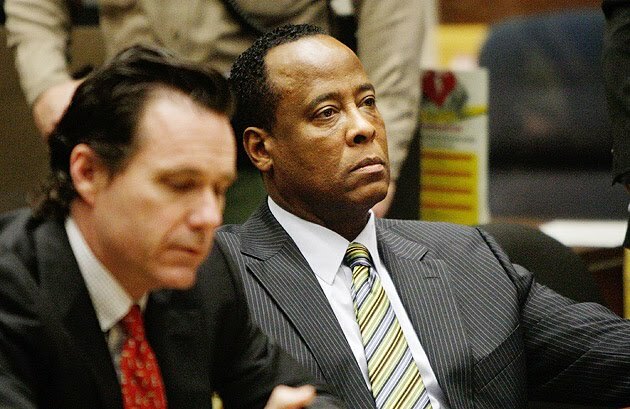 The biggest gift Conrad Murray has ever received in his life was the charge of Involuntary Manslaughter, in my opinion. That gift says he was simply too stupid and oblivious to realize that the totality of what he was doing could have caused another person's death. So in that respect, I guess the charges are correct. As a post script, I would like to take a moment and say that despite my ire, it is not doctors I am upset with. It is this particular doctor's conduct that invokes my indignation. Incompetence and recklessness from any health care provider invokes my outrage and indignation, on behalf of the vulnerable patients who are harmed. Competence or incompetence has little to do with the letters after the name of a health care professional. A doctor is not automatically competent simply because he has M.D. after his name. There are competent and incompetent practitioners in every profession. My profession, Nurse Anesthesia, is forever proving that our outcomes are excellent, and that we provide competent care, and yet there are still "attacks" on my profession from those who opine that we could not possibly be knowledgeable and competent, because our basic education did not occur in a medical school. Fortunately, the tide is turning, and laws are slowly changing to recognize that the overlap between some professions is simply a turf war over money that has nothing to do with safety, outcomes, or competence. And yes, this Nurse Anesthetist dares to say that Conrad Murray, M.D. IS an incompetent, arrogant fool, who recklessly killed his victim. (Victim, not patient.) The victim just happened to be a famous musician named Michael Jackson, or none of us would ever have heard of Conrad Murray. Hubris. Thanks for reading! Part 4: Putting it all Together: What I think Really Happened, will be out soon! Today's hearing was not televised due to the fact that the hearing room where it was conducted is not wired for live broadcast. WESH capably filled the gap with it's LiveWire updates by Gabe Travers. We have been promised video of the hearing, but as of this time it is not available. I will post the link here when it becomes available. Jose Baez and Ann Finnell both submitted requests for funding. Finell's motion asked for the $5000 cap originally discussed. Check out the financial paperwork she provided to show her expenses. Perhaps Jeremy Lyons could learn a thing or two about bookkeeping by checking them out. Baez' motion was followed by Lyons' accounting. It is minimal at best. In his motion, Baez complained about all the pages of discovery and additional witnesses provided by the State. Judge Belvin Perry agreed to grant Finell's motion and he will have an order ready on Friday. As for Baez' motion, after the usual arguments about all the discovery being dumped on him by the State, Linda Drane Burdick, who was present for the telephonic hearing pointed out that the majority of the material released to the defense has consisted of letters to Casey Anthony, Dominic Casey's e-mails, and transcripts from Laura Buchanan. 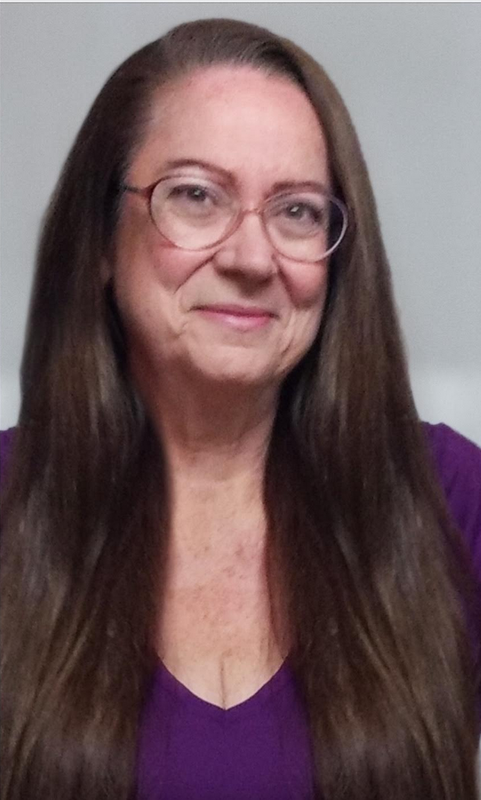 Ms. Drane Burdick didn't believe there was a whole lot to investigate there. Nevertheless, the judge granted Baez' motion. Considering that Baez was in the red by about 124 hours, he's not gained all 300 for future use. I'm sure we'll see him back for more. I'm sorry I haven't been around too much lately. About three weeks ago my husband came down with the nasty stomach virus that's been going around. One week later, I fell victim to it myself. Unfortunately for me, the 24 hour bug lasted a lot longer than that and I've not had much energy. I've been printing out all the motions and orders that have come down and only have a few things to say. Most of the orders signed by Judge Perry were announced at the January 3rd hearing. Funny, I didn't see an order on the Jib-Jab video! As for Mr. Kronk, I can finally retire the yellowed stack of papers that comprise that motion and file them away for good. It's amazing that the motion, filed in November, 2009 was never argued in open court. Perhaps the reason is that once the state deposed the witnesses under oath, they didn't have as much to say as they did in the "designer videos" circulated by the defense in 2009. If Mr. Kronk gets grilled on the stand by the defense, it will be more about his August calls and how he figured out where to locate the body. Our next hearing is Friday, February 4th, less than two weeks away. I wonder how that hearing will go! This is the first of a 4 part series. At the end of part 4, I hope that you, the reader, will be as convinced as I am that Conrad Murray recklessly, quite irresponsibly, and thoroughly incompetently killed his patient, who happened to be a famous celebrity musician named Michael Jackson (MJ). That MJ may have indirectly sought out the services of CM expressly for the purpose of administering IV propofol and other meds is irrelevant; the licensed doctor had the MUCH higher responsibility to safeguard the life of his patient. And, IMO, he egregiously failed to do so. I also am very disappointed that CM is only facing 4 years in prison for what he has done. I will do my best to explain the chain of events, the technical aspects of the equipment in evidence, and the lies told by Dr. Murray subsequent to the death of his patient. Along the way, I will pose questions to Dr. Murray, which I'm sure he will want to answer if asked by a lowly CRNA, or prosecutors, to clear his good name of these terrible charges and accusations. I know I would be chomping at the bit to explain myself if I felt I were unfairly accused of a crime, or incompetence. So we will ALL be closely watching the pre-trial and trial events unfold to see how, or if, Dr. Murray explains exactly what he was doing in that bedroom. I will also offer that I have never posted my opinions on any other site about the circumstances of the death of MJ except here at T & T. I will further offer that I am but a lowly CRNA. (Certified Registered Nurse Anesthetist. If you have ever met a CRNA, we have a reputation for our confidence, our competence, our compassion, as well as our intense passion for our patients' safety, and the reputation of our profession.) Many other experts with prominent letters after their names would be quite satisfied to squash my opinions into oblivion, simply because I am not a physician. I'm fine with that, by the way. Bring 'em on! There is plenty of room on Sprocket's sofa for all of us! The conduct of Dr. Murray has been quite disturbing to me. Patients still express concern from time to time that we do not use "the drug that killed MJ" on them. The first thing I tell those patients is that we should not blame the drug-- propofol is a miraculous, and safe, anesthetic drug-- in the right circumstances and setting, for the right patients, and the right indications, when given by a knowledgeable and vigilant practitioner. These are not the circumstances under which MJ was receiving this drug, and there is only one person who holds that blame, Conrad Murray. What is an IV? First off, "IV" is the common term for "intravenous." Let's confine the discussion to peripheral (small veins in arms and legs), not central lines. Basically it's a plastic straw sleeved over a needle. The needle pierces the skin and vein, and the "straw" is slid off into the vein, then taped into place, and the needle removed. 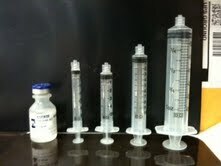 IV's come in different widths (represented by standardized color coding) and lengths. There are different indications for different sizes. First question for CM: What size IV did you place in MJ's left leg? IV's are usually placed in hand and arm veins that are easy to see and feel. Leg or foot veins are reserved for occasions of special need, when arm and hand veins are inaccessible. Inaccessible could mean that the veins are not suitable for IV cannulation due to repeated punctures and scarring; inaccessible can also mean that limbs are not suitable due to infection, surgical procedure, positioning of the patient for care, etc. 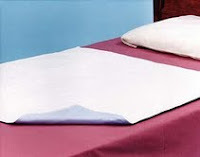 Speculation can also include that punctures and bruising are easier to conceal on a patient's legs than arms, once the patient is dressed and going about his daily routine. The point is, without a report from Murray, we don't know exactly why Murray placed an IV in the patient's leg (likely the left saphenous vein, according to testimony and anatomy, which is a nice big vein in most people). However, we do know that this is fairly unusual in a healthy patient who is ambulatory, and presumably may need to be up walking or to the bathroom while undergoing this "therapy." CM: Why exactly did you place an IV in MJ's leg on the last day of his life? How long was that IV in place? You spoke with a LEO and stated you had given this patient IV propofol and other intravenous medications nightly for the past 8 weeks. Did you start a new IV each night? Did you ever attempt to "keep" any IV beyond one therapeutic episode? If so, how did you do that? If not, why not? After several weeks of nightly use, did it occur to you that a nightly IV would be needed for the meds you planned to give MJ? We also know from paramedic testimony at the scene that CM's tubing was simple and "old fashioned", as it was not a needle-less system, and the paramedic's equipment was not compatible with CM's rubber capped medication ports (Y-sites). Paramedics had to change out CM's tubing for their own, in order to be able to administer drugs during resuscitation attempts. 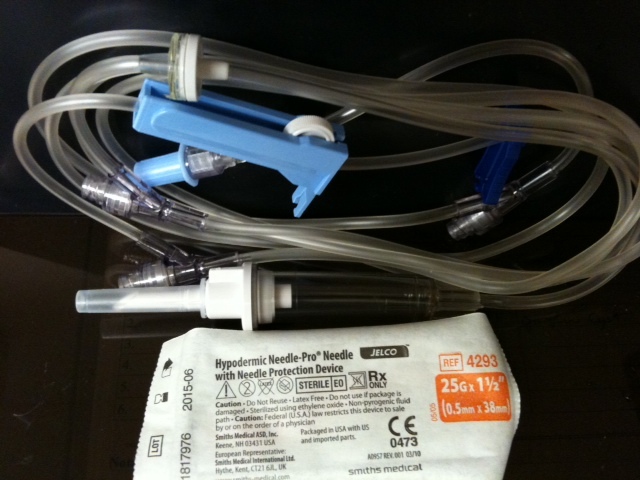 This older style of IV tubing requires a needle to pierce the rubber Y-sites to inject meds into a running IV, or to "piggyback" in another IV line. 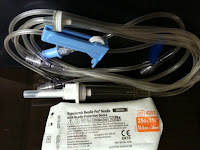 There are many brands of tubing, but nearly all of them have a Y-site about 5 inches from where the end of the tubing connects to the IV cannula in the patient, and at least one Y-site halfway down the tubing, for injecting meds. Piggyback lines are typically hooked into the Y-site closest to the patient. With this old style tubing, one would slip a needle attached to the second IV line directly into the rubber stopper, and tape it in place. These systems have fallen out of favor in the past 10-15 years as nearly all hospitals and home health agencies have had to change to needleless systems to meet patient safety requirements. I've been a nurse since the mid 1980's so I have had lots of experience using these "old" systems in the past. This type of tubing flows by simple gravity into an IV, and many things can speed up or slow down the flow, such as the size of the IV, or the position of the limb. There are 2 general types of tubing: maxi drip, and mini drip. Maxi drip is 10 to 15 drops per cc, and is typically used on adults. Mini drip tubing is 60 drops per cc, and is typically used on infants and children, as well as adult drips that require more precise regulation. Rate of infusion is achieved by adjusting the roller clamp (in blue, above) counting how many drops per minute are seen in the drip chambers, and multiplying by 60 to determine hourly rate. In the old days, a strip of tape was placed on the bag and "time taped" so all caregivers would know how much should have infused at a certain point in time. This is a maxi drip drip chamber. This is a mini drip drip chamber. CM: What kind of tubing were you using? Where did you get it? How many sets of tubing did you purchase at one time? It is a virtual certainty that CM was using maxi drip tubing. They come in many sizes. Most people order them by the box or case, so I would be highly surprised if CM had a wide variety of different sizes available. Educated speculation leads me to believe CM probably had 3cc syringes, and possibly 5cc or 10cc syringes. I think it's doubtful he had 20cc syringes, or 1cc syringes. 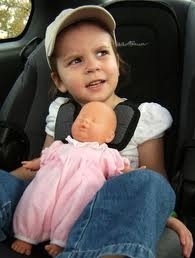 CM: What size needles and syringes did you have in use when providing care to MJ at his home? Where did you get them? 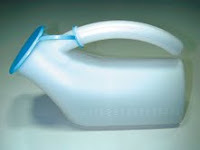 1000cc plastic bags of Normal Saline (NS) were in evidence in the room, and on the pharmacy order by CM. What is curious to me is on an initial pharmacy order reported, CM ordered only 9 1 liter bags. This is curious because a full case of liter bags is 12 bags. Why would a doctor order only a partial case from a pharmacy, and why would a pharmacy fill a partial case order without requiring the customer to purchase a full case? NS is cheap, so cost likely wasn't a factor. More on meds ordered will be addressed in Part 2. These are stoppered with a rubber cap and a plastic flip off lid, for sterility. To access the medication, you must push some air into the sealed vial, in order to create positive pressure to withdraw a medication into a syringe. (Using sterile technique.) CM did not have needle-less systems in use, so he would have had to do this with an ordinary needle. Inject an equal quantity of air into the vial, flip it upside down, and withdraw medication into a syringe. If you don't do this, you can usually withdraw smaller amounts of medication, but beyond about 5cc, there is a vacuum built up in the vial that makes sucking out the med with a needle and syringe difficult. 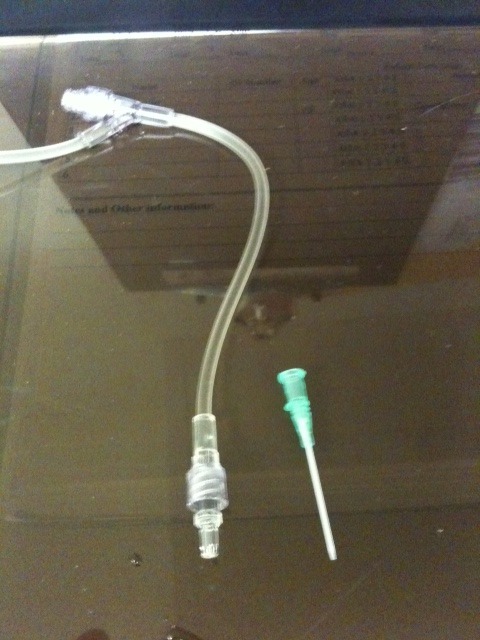 The plunger of the syringe will have a tendency to be sucked back toward the vial. This is also true if someone attempts to drip medication from a sealed glass vial without properly "venting" the bottle to allow air inside. (This will be an important detail to remember as the 4 part series unfolds.) The "-pam" injectable drugs CM ordered (lorazepam and midazolam) come in 2cc single use vials-- ordering records indicate CM was not using multi-dose vials. It also does not appear CM was using pre-filled syringes from the pharmacy ordering information. Lidocaine comes in 10cc vials most commonly, but it is also available in larger vials. Propofol comes in 20cc vials, and 100cc vials. (It also comes in 50cc vials, but CM was not ordering this size.) I have not discussed glass "crack open" ampules because there is no evidence reported that these were in use. To close this article, I'd like to take a minute to discuss rate control devices for IV's. Many people know about electronic IV and syringe "pumps" and have seen them on TV or in a hospital. There have been no reports of any of this type of equipment found at the scene, and no reports from CM that he used any kind of pump in the care of MJ. However, there are several "old fashioned" volume control devices that I'd like to discuss. 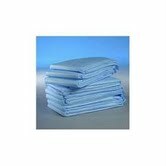 These are very cheap and easy to use, if a provider knows about them and has access to purchasing them. The first is a simple pediatric buretrol. This fits in between the IV bag and the regular tubing, and a provider allows a small amount of fluid or meds to fill the chamber. The bigger bag is then clamped off. This only permits what is in the buretrol to infuse, not the whole bag or bottle of meds. A buretrol costs about $20. A cheap IV pump about $300. 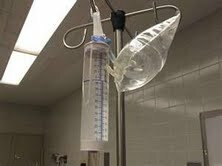 Another low tech option for rate control of IV medications is a "grenade" pump. This is a hard plastic shell with an interior balloon that is filled by syringe. It infuses at a preset rate, such as 2cc/ hr, or 10cc/ hr, until the balloon is empty. These are commonly used in joint surgeries for post op pain control, and I used a similar "grenade" pump for labor epidurals many years ago. 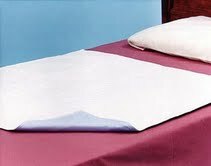 They are cheap and low tech, but a layer of added safety for the patient. They can be easily pressed into use for IV medications, and when I was flying military air evac years ago, I used them occasionally in flight. So why did I bring up low tech infusion control devices? Precisely because CM did not have any in use that we know of during the care of MJ. This information will be important in part 4 of this article. That's enough for today! Part 2: The Evidence: What we think we know, will be out soon!